This post is underwritten by P&G. If you have a computer, you of course know that online quizzes are everywhere these days. “Which Disney Princess Are You?” “Which 80’s Band Are You?” “Which Hot Dog Topping Are You?” Just to name a few. So in the spirit of these non-stop quizzes, here is our version. You won’t find out what Cat Breed you are, but you might learn how to keep your home more tidy and how to keep your life more fun. C) Draw inspiration from Miley Cyrus videos—WRECKING BALL, Y’ALL! C) Scuba flippers and the dog’s Halloween costume because who has time to finish the laundry when there are “Laverne and Shirley” episodes to binge watch? C) Hahahaha! What are spare sheets? You are a super organized person who likes to have a place for everything and everything in its place. And if it isn’t, you probably have a super weird involuntary tic thing happening. Maybe people even call you “Ye Olde Eye Twitcher.” Yes, your life is already simplified, but you can ensure it stays that way by picking up some mess-free, spill-free Tide Pods on your daily trip to Target. And then you’ll have even more time to iron your daughter’s Barbie clothes. Your spice rack and underwear drawer are probably both alphabetized and registered with the Library of Congress. You are never late and never flustered, which also means you are never fun. It’s all work, work, work with you, which is why you desperately need to free up an hour or so to goof off. (And de-alphabetize your undies.) And the best way to do that? Simple, time-saving Tide Pods, my friend. You might often be described as a “hot mess,” “a work in progress” or “the lady responsible for the accident, your Honor.” Your life definitely needs more order and structure and clean clothes, so obviously Tide Pods are the perfect solution for you and your family. Not only will you get your laundry done efficiently, but you’ll still have time to relax. And then you can put the dog’s Halloween costume—back on the dog. Want to try Tide Pods so you can simplify your life? You can pick them up at Target, so we’re giving away a $300 Target GiftCard to one reader. 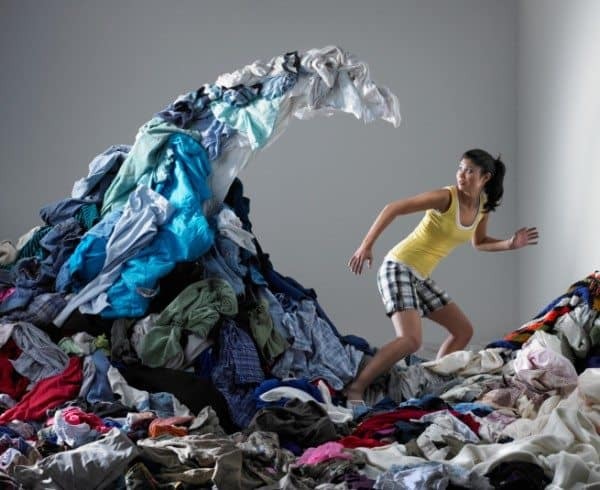 Visit our sponsored post on Simplifying Laundry for our Busy Family and leave a comment on that post (NOT below) answering the question “What little things do you do that go a long way?”. This post is sponsored by P&G.